ISLAMABAD: Deposed prime minister Nawaz Sharif on Monday claimed that he used to pay the day-to-day expenses of the Prime Minister’s House from his own pocket, a day after newly-elected Premier Imran Khan gave details of the expenses of the establishment during his first address to the nation. “I used to pay the day-to-day expenses of the Prime Minister’s House from my own pocket,” he told reporters after appearing before the accountability court, adding that he has the cheques as proof. On Sunday, Imran Khan had broke down details of the expenses of PM House, saying, “The prime minister has 524 servants and 80 cars. The prime minister, which is me, also has 33 bulletproof cars. The prime ministers all have helicopters and aeroplanes to fly them. We have massive governor houses and every conceivable luxury”. Rejecting Nawaz Sharif’s claim, Federal Information Minister Fawad Chaudhary told a press conference later in the day that Prime Minister’s House expenses are part of the national budget. “If Nawaz Sharif’s claim is true, he should produce his income tax statements,” Chaudhry said. 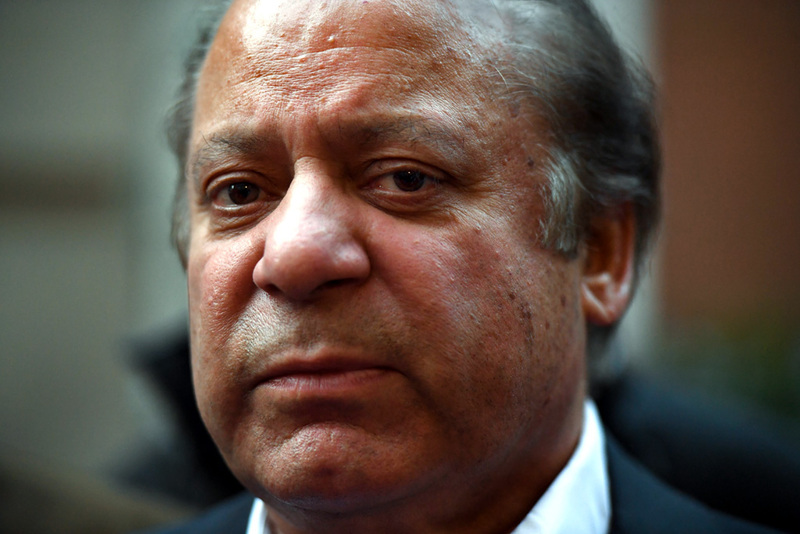 Earlier during Sharif’s appearance in the accountability court, a number of Pakistan Muslim League-Nawaz (PML-N) supporters gathered at the judicial complex to express their support for the disqualified prime minister. They tried to shower rose petals on Nawaz but police detained them.